The Sigur Center for Asian Studies will host Ambassador Otgonbayar Yondon of Mongolia in a special public seminar on the topic of “Mongolia’s Position Between Two Global Powers, Russia and China” The discussion will be moderated by Professor Robert Shepherd. Light refreshments will be available. This event is public and open to the media. The event will also be live-streamed on the Sigur Center Youtube channel. 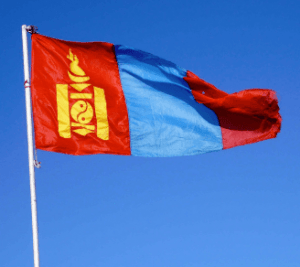 Ambassador Otgonbaya Yondon assumed the position of Ambassador Extraordinary and Plenipotentiary of Mongolia to the United States of America on March 28, 2018. 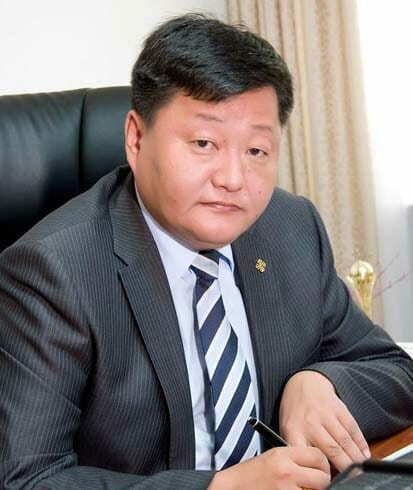 Ambassador Otgonbaya has held multiple positions under Mongolia’s Ministry of Foreign Affairs including Second Secretary of the Embassy of Mongolia to the Republic of India, Officer of the Department of International Organizations, and First Secretary of the Department of Policy Planning. His experience in foreign affairs led to his role as Foreign Policy Advisor to the Prime Minister of Mongolia from 2001-2004. He has also served the Mongolian People’s Revolutionary Party (MPRP) as Secretary General and was a member of the Parliament of Mongolia from 2012-2016. Ambassador Otgonbaya was educated in Ulaanbaatar and has a Ph.D. from the International Relations Institute of Moscow. Image above: The Mongolian Flag. Original photo found here.